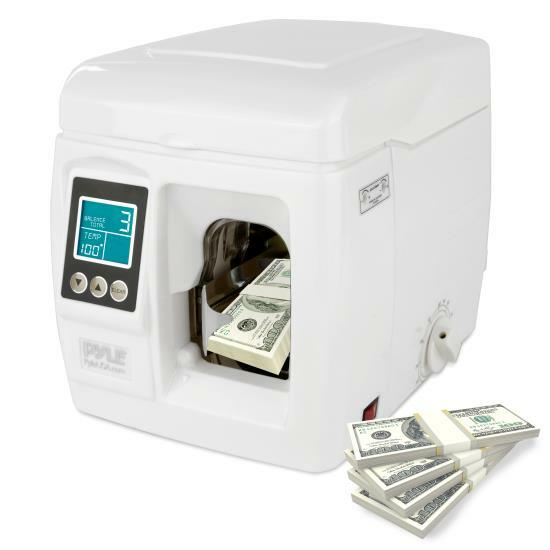 The Pyle Banknote Binding Machine provides quick and convenient bill strapping. Bind stacks of bills with the heat-activated glue that provides safe and durable straps. The system features simple button controls and digital LCD display screen for hassle-free operation. Bind stacks of bills in quantities up to 100 bills for safekeeping and easy transport. Includes one roll of self-adhering binding tape (*additional /replacement strapping tape rolls sold separately, Pyle Model: PRTPRMBN200RL).